The next party conversation starter is here. You’ll be voted ‘Most Popular’ when you whip out this fun party favor: an ice mold in the shape of the Millennium Falcon. Bring the world of Star Wars to your next event and meet the Princess Leia to your Han Solo when the Falcon ice cube makes you the star of the party. 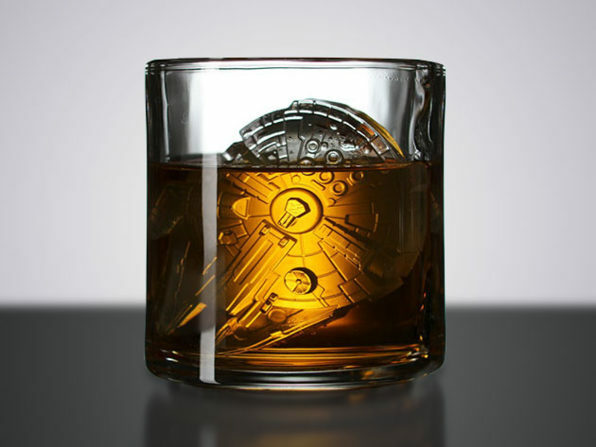 Made of rubber silicone, the Millennium Falcon ice cube will keep your drink cold at light speed. Just put water in the mold, and let it freeze! So you can keep that lightsaber at home. No need to fend off evil with this trusty Falcon at the bottom of your whiskey. Get the Millennium Falcon Ice Mold today for $9.99, a savings of 33 percent.